Samsung is expected to unveil a new Galaxy smartphone generation—the Galaxy S6—at the Mobile World Congress 2015 event in Barcelona On March 1. Though the flagship phone is not yet in the market but there has been some rumors about The S6's new looks. Recently, there were speculations about the Samsung Galaxy S6 battery design saying the new phone is going to come with an irrevovable batterry and a whole lot of stuff. until the S6 is released, Tech enthusiasts will continue to speculate on what to expect from the highly expected Galaxy Smartphone with the electronics maker has been strategically ramping up the hype with a series of teaser videos and tweets using the hashtag #TheNextGalaxy. 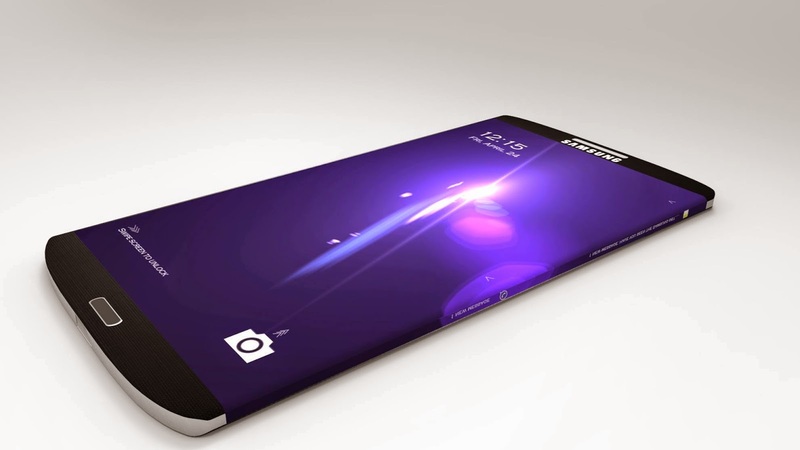 So while right now, we can only speculate on the specs and new features of the Samsung Galaxy S6, several rumors seem to have some legitimacy. The Samsung Galaxy S6 release date is widely predicted to be by late April, based on the maker’s track record. Recently, T-Mobile posted a new promotional photo on its website, which seemed to confirm the new Galaxy's rumored curved screen. The S6’s screen has been expected to extend all the way to the right and left sides of the device. However, another teaser video suggested the device would not boast the curved display of the Galaxy Edge. That has led many to surmise that Samsung will release two S6 devices: A curved version in addition to a regular version of the phone. That wouldn’t come as a big surprise as the Note 4/Note Edge also came in two versions, and the Galaxy S5 is available in Active, Zoom and Mini versions. Other rumors have been vaguely addressed by Samsung Norway, asking "Is this the next Galaxy?" The website reads, “One feature that we might see is forward-facing stereo speakers.” While that’s not a confirmation, it is a factor that has been in speculation for some time. The question is, would Samsung even address this rumor if there wasn’t truth to it? Samsung announced that it has acquired Burlington, Mass.-based mobile payments startup LoopPay. Since LoopPay offers technologies that make it easy to pay with a smartphone, there’s a slight possibility that Samsung will integrate this capability into the Galaxy, enabling it to rival Apple Pay. The screen size of the Galaxy S6 is expected to be 5.1 inches. Additionally, the phone is believed to feature a 5-megapixel front-facing “intelligent” camera that will allow users to chose from three focus modes. The manual mode, for example, will enable user control over shutter speed.